For those of you that know me, I’ve been absolutely addicted to Guitar Hero & Rock Band. I can’t get enough of them. I guess I figure, I can’t play a real instrument, so why rock not out with a plastic toy? 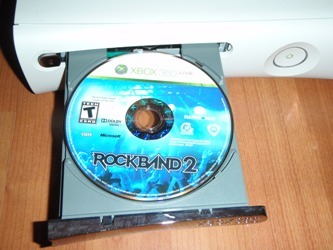 Well, on Sunday, the next in the saga of plastic instrument video games came out: Rock Band 2! It doesn’t have a NOFX song like the upcoming Guitar Hero: World Tour game will have, but it does have my favorite Foo Fighters song on it. Click on the pic above to read my review on Rock Band 2.